More than 1,000 runners, walkers, and support volunteers participated in the 4th Annual Remembrance Run Sun., Sept. 29 at Raccoon River Park in West Des Moines, Iowa. 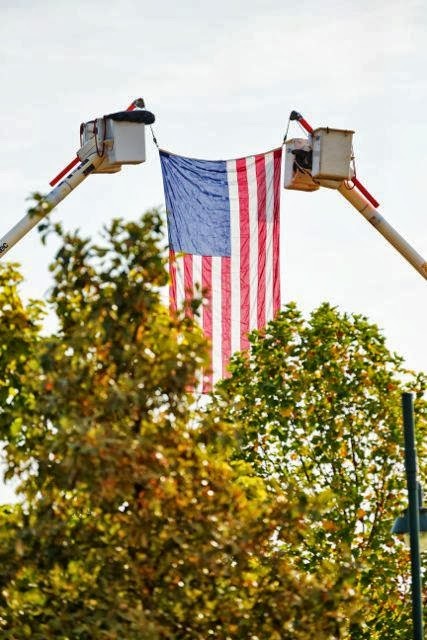 The 5k run/walk event commemorates approximately 120 Iowans and military service members with Iowa connections who have died in Iraq, Afghanistan, or elsewhere from combat, illness, suicide, or accident since the Iraq War began in March 2003. The last Sunday in September is traditionally Gold Star Mother's Day. Informally, the date is often also called "Gold Star Family's Day." A presidential proclamation this year made it both. American flags, as well as names and pictures of those to be remembered, lined the last stretch of the Remembrance Run route. High above the finish line, a large American flag was suspended between two aerial trucks provided by MidAmerican Energy Co. In keynote remarks spoken from the bed of a pickup truck, Jeni Carney Green likened the gathered crowd to a "support brigade." 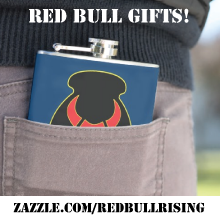 Nearby, a group of Green's friends and family wore T-shirts bearing the 34th Infantry "Red Bull" Division (34th Inf. Div.) shoulder patch, and the name of her late husband Scott. Master Sgt. 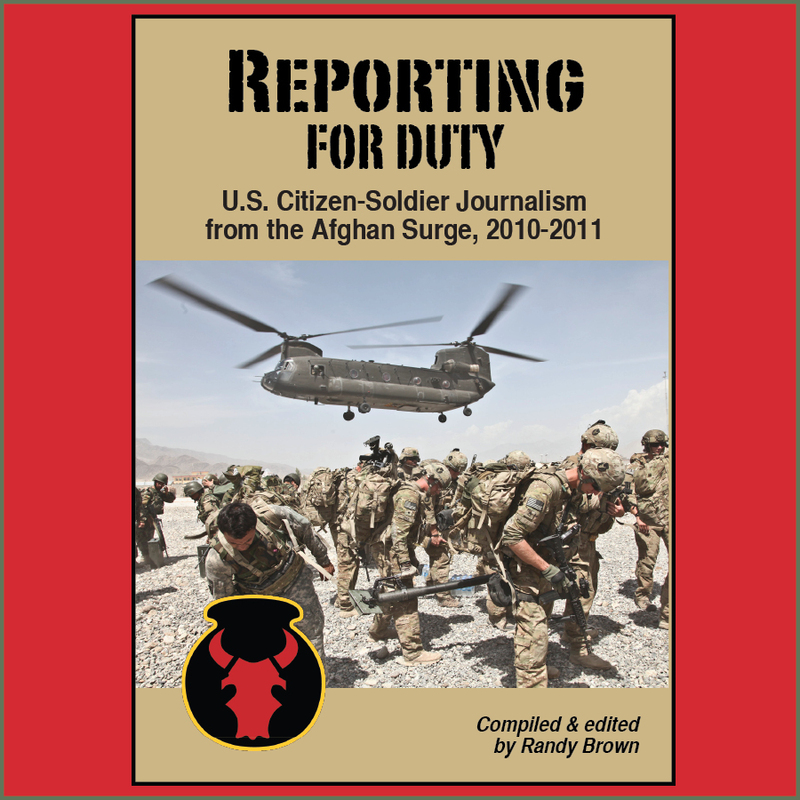 Scott Carney was a member of Headquarters Company, 2nd Brigade Combat Team (B.C.T. 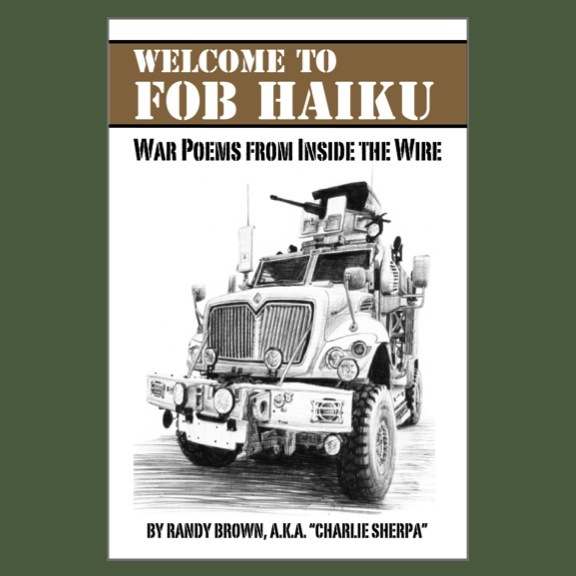 ), 34th Inf. Div., killed Aug. 27, 2007 in Western Afghanistan's Herat Province, while deployed on an Embedded Training Team (E.T.T.) mission. "[Y]ou brought food after the funeral. Or you babysat. Or you helped address thank-you cards. Or you talk about the fallen," Green said to the crowd in thanks. "You listen at every birthday, anniversary, and special occasions—like graduations—that they've missed. You listen, you tell their stories, and ... you remember." The 5k run/walk is a fund-raising event for the non-profit Iowa Remembers Inc., and helps underwrite an annual weekend retreat for surviving Iowa family members. 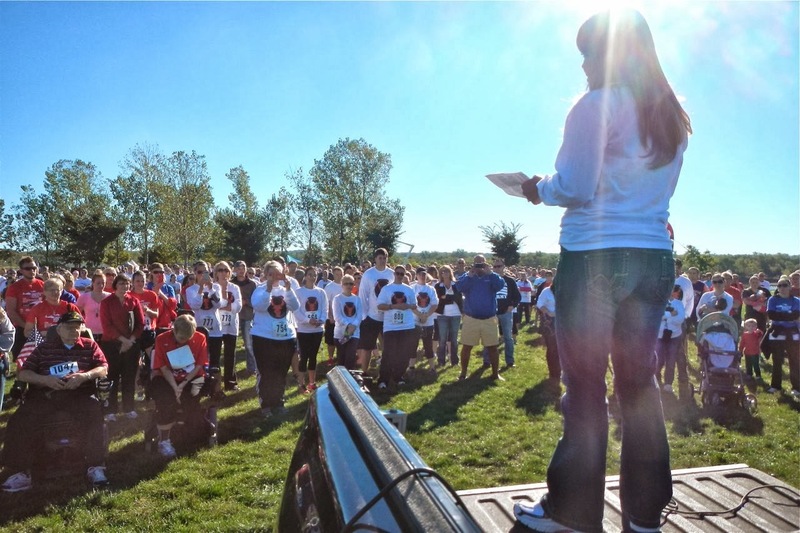 The retreat is administered by Survivor Outreach Services Iowa on the same weekend as the annual run. According to a recent Army news release, Survivor Outreach Services maintains connections to 56,000 military families nationwide who have lost a loved one in service to their country. "The Survivor's Outreach Services is kind of a big process, but a simple concept," says Hal Snyder, chief of the Wounded and Fallen Branch, U.S. Army Survivor Outreach Services. "It's to continually link our surviving families to the Army for as long as they desire; that they remain part of the Army family. That is a promise that has been made to our surviving families and it is part of the job of S.O.S. to honor that promise and to provide the services and support that link these families to the Army." 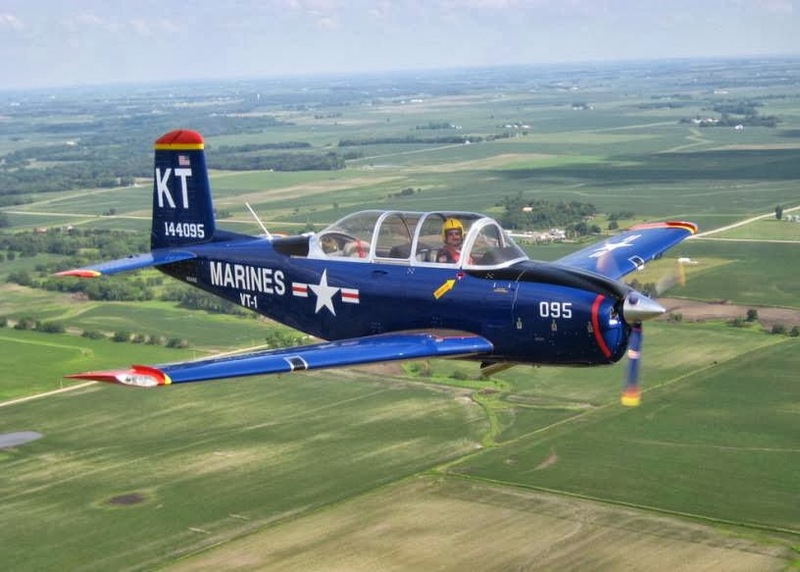 Before the event, Central Iowa businessman Craig Sommerfeld performed a fly-over in a T-34 "Mentor" painted out as a U.S. Marine trainer. Armed with a microphone and an air horn, KJJY radio personality Eddie Hatfield joked with the first wave of runners, saying the 5k event was actually 26.2 miles long. World War II and Korean War veteran Arthur Ryden, 98, of Cherokee traveled most the 5k route in a wheelchair, but made sure to walk across the finish line with the help of family members. He was commemorating his brother, Arnold Ryden, killed in the Battle of the Bulge. Great post. And great people.Bravo to those that did it!